I grew up in a house full of girls. Three sisters, and I love them all. They're my best friends. My mom is super fun and creative and as little girls we threw a lot of little parties. I was looking through my photo albums from when I was a girl not too long ago and found pictures of a birthday party we threw for our dolls. My mom was always very good at letting us take a big part in the planning. We sent our friends invitations inviting them to bring their baby and come dressed up like a mom along with a present for their doll. We made macaroni necklaces for our dolls, helped them open their present, and had cake and ice cream. How fun is that? It makes me wish my daughter liked dolls so we could do the same thing. 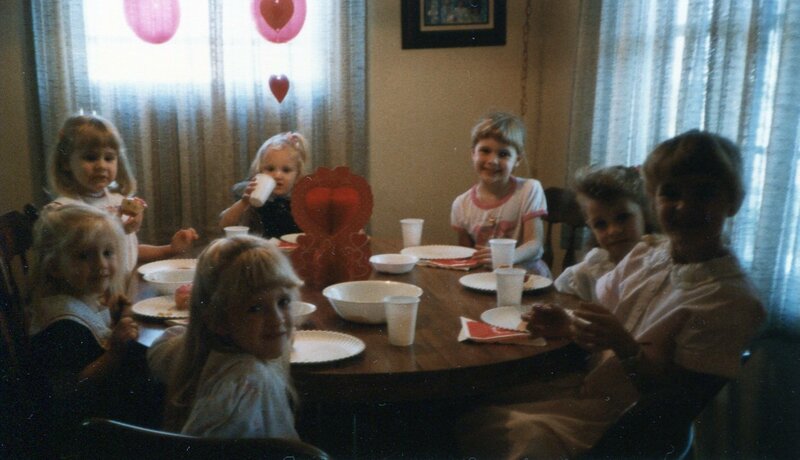 Another time we had a Valentines day party where we invited our friends to come in their pretties dresses. We did crafts, decorated cupcakes and exchanged valentines. Now this is something I knew my daughter would love to do. I suggested the idea last month and she hopped right on board. We've been getting our party ready over the last few weeks and have had so much fun planning it together. Here our some simple invitations we made to send to her friends. We also made a few simple decorations. This banner was inspired by the one over at A Little Great. I love the look of pink, white, and red together. It's just so, well, Valentines! Each girl came wearing her prettiest pink. When they arrived they got to make a valentine for someone special. We then played a few simple games (bean bag toss, freeze dance, and a valentine version of Simon says). We finished off the morning decorating heart shaped cookies and reading a few valentine stories. Such a fun morning. Just for the girls . . .
And when it was time to go they got to take a few treats home. There are so many great ideas out there for Valentines day. Hope you're having a great Valentines Day with the ones you love! Cute Cute Cute! What a super sweet party. I agree it's a shame she's not a dolly girl, what a lovely party your Mum did for you, but I think this party was so lovely. Well done! That brought back a lot of memories. I love the party you did for Valentines Day. The take home crafts and goodies are darling!! You (and your sisters) are so creative. that looks like soo much funj!!!! this is such a great idea and looks fantastic! How fun! 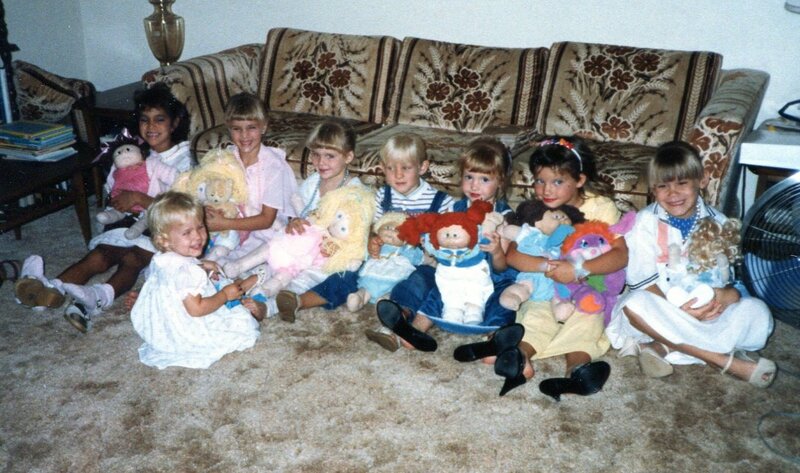 I'd forgotten about having Cabbage Patch Kid birthday parties. Thank you so much for triggering that memory! Such a cute party! I love the idea of having a party for your dolls too...so sweet! The party must have made some young ladies very happy! So girly. You're making memories that will last a lifetime. I remember the doll parties! How sweet! Everything you did was adorable. P.S I am your newest follower, I hope you will follow me back too! I look forward to reading your future blog posts! So sweet and great to see you carrying on the family tradition! Love that bean bag toss! Thanks so much for sharing on Craft Schooling Sunday! 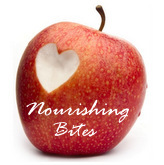 Thanks so much for linking up to For the Kids Fridays!